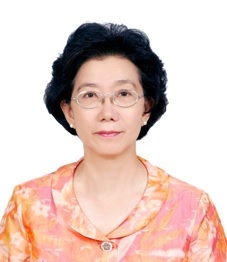 Dr. Carol Yeh-Yun Lin (PhD, the University of Texas at Austin) is Distinguished Professor of Department of Business Administration at National Chengchi University. Dr. Lin published extensively on strategic HRM, SME management, intellectual capital, and corporate social responsibility. In addition to over 50 academic referred journal papers and 90 conference proceedings, Dr. Lin also published 14 books in English with Springer New York. The most recent one is The Impact of Societal and Social Innovation. Dr. Lin also held several administrative positions, including the Dean of International Cooperation, Director of Creativity Center, Dean of Student Affairs, Director of International Exchange and Education, also the Founding Director of English Taught International MBA program in Taiwan. Before changing her career to academia, Dr. Lin served as Customer Service Manager in Singer Sewing Machine Companies for two years, and Office Manager in K-Mart Taipei Purchasing Office for six years.